29 March 2019Costa Brava Tourism Board are proud to introduce the teams behind the key events forming the 2019 cycling calendar in Costa Brava and Girona Pyrenees at a Press Morning held at the London Bike Show today. 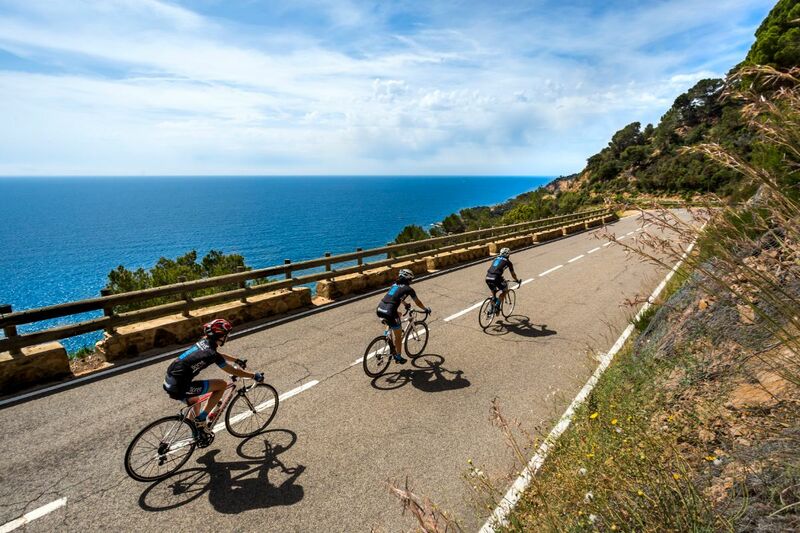 The Costa Brava and Girona Pyrenees have fast become the new “must visit” destination for cycling holidays and services, with increasing numbers of cyclists exploring the delights of the region including Girona, Banyoles, Lloret de Mar, Blanes, Palamós, Empúriabrava, and Roses. This year cyclists of all ages, abilities and ambitions will be given three extra reasons to explore this north east corner of Spain and discover first-hand why its mix of well-maintained roads, warm weather, panoramic views and characterful villages make the Costa Brava and Girona Pyrenees a true cycling paradise. Sea Otter Europe is making a name for itself as the place where brands want to present their products to professionals and above all cyclists. This is attested to by the fact that, less than three months before the festival, 85% of the expo area is already full with only 15% still up for grabs. At present, the festival has 150 confirmed stands, which means 285 confirmed brands. The Girona Cycling Festival is a week to remember. Each day is an opportunity to discover Girona and its beauty both on and off the bike; the perfect holiday destination. The cycling crazed week, supported by Bike Breaks Girona Cycle Centre will include three key events, plus additional group rides, activities and of course, parties! The events consist of the Hill Climb, the Nocturn Criterium and the Girona Gran Fondo which will conclude the week and take all participants on a scenic 125 km loop from Girona to the Volcanic Natural Park in Olotand back, now also with the crazy option of the Rocacorba Challenge! UCI class 2 MTB stage race for the third consecutive year 900 mountain bikers from over 20 different countries/nationalities World class professional athletes racing together with amateurs on the same course 160 km & 5.000 m+ in La Cerdanya, area in the heart of the Pyrenees and border with France Catalans and locals José Antonio Hermida & Clàudia Galicia as race ambassadors. With more than 1,879km of signposted mountain bike trails to be found throughout the province plus a network of mountain bike centres, the Costa Brava and Girona Pyrenees appeals to more than just tarmac lovers. Meanwhile, for those who prefer a more leisurely pace to their bike breaks, bike hire companies and miles of low gradient greenways – known locally as Vies Verdes – dot the region. These include seven routes along old railway lines stretching for 125km plus dozens of mountain bike trails, making the Costa Brava and Girona Pyrenees perfectly suited to active families keen to take full advantage of the Mediterranean climate to explore the region’s spectacular scenery and rolling countryside. The Province of Girona is a region of Catalonia, whose Eastern edge lies on the Mediterranean Sea, with the Pyrenees and the French border to the North. As well as stunning mountains and a wealth of natural delights inland, the region is home of beach holiday villages, along the renowned Costa Brava, and the city of Girona, as well as Figueres, birthplace of artist Salvador Dalí. The Costa Brava Girona Tourist Board represents the region and works on behalf of its tourism partners and other organisations to promote the destination. Sea Otter Europe is related to the Sea Otter Classic, a cycling festival that has been held every year since 1991 in Laguna Seca, California.